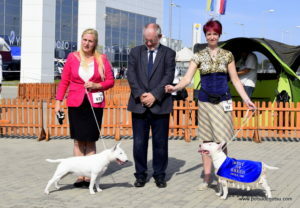 Potsu de Notsu Wild and Young – puppy Very Promissing 1, BOB puppy, Best In Show Puppy! 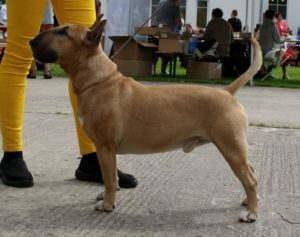 Potsu de Notsu Xlike Optimus Prime – Jun Ex/1, BM 2, J CAC, BOS Jun, Balter Junior Winner 2018! 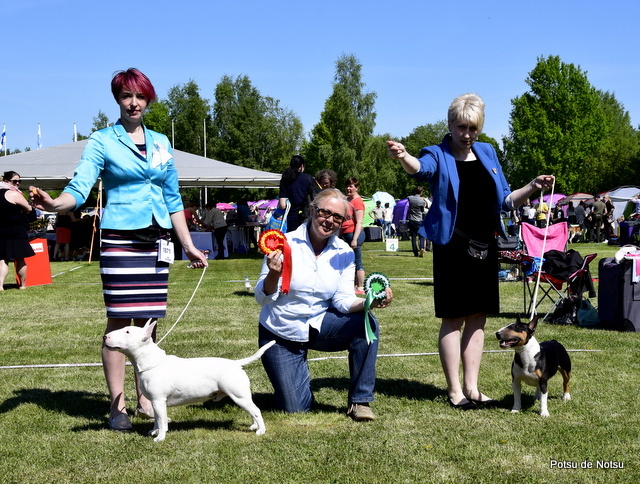 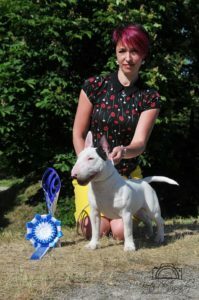 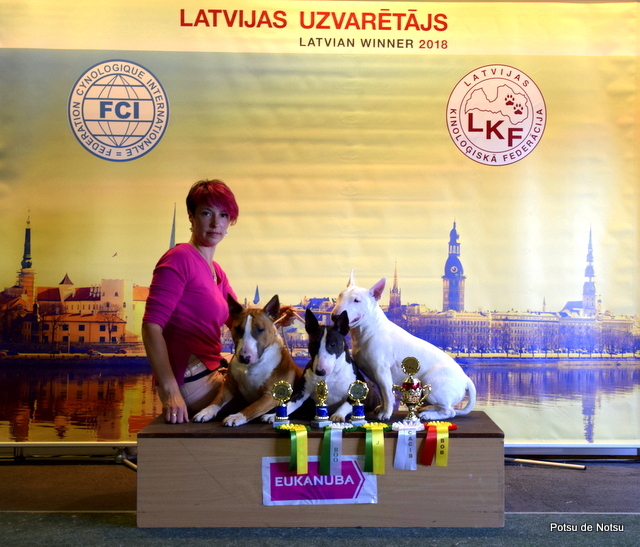 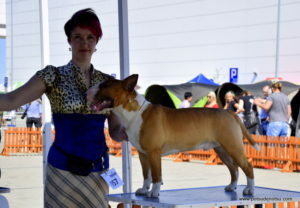 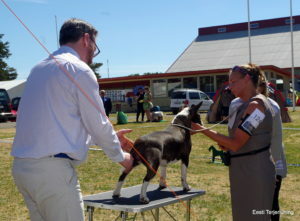 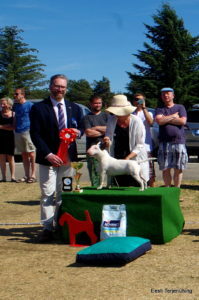 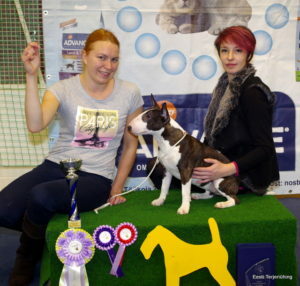 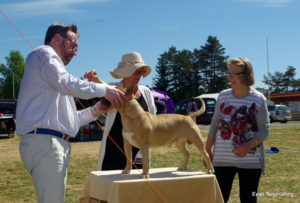 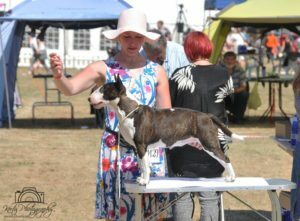 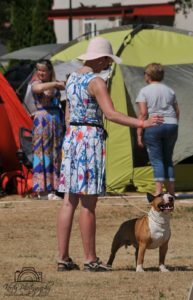 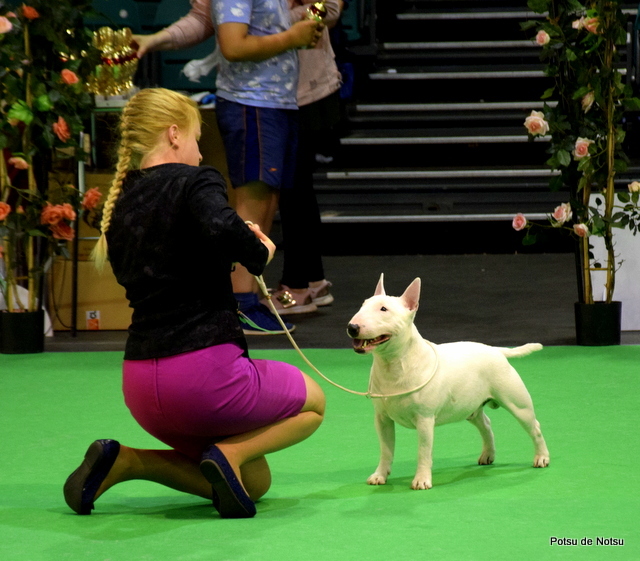 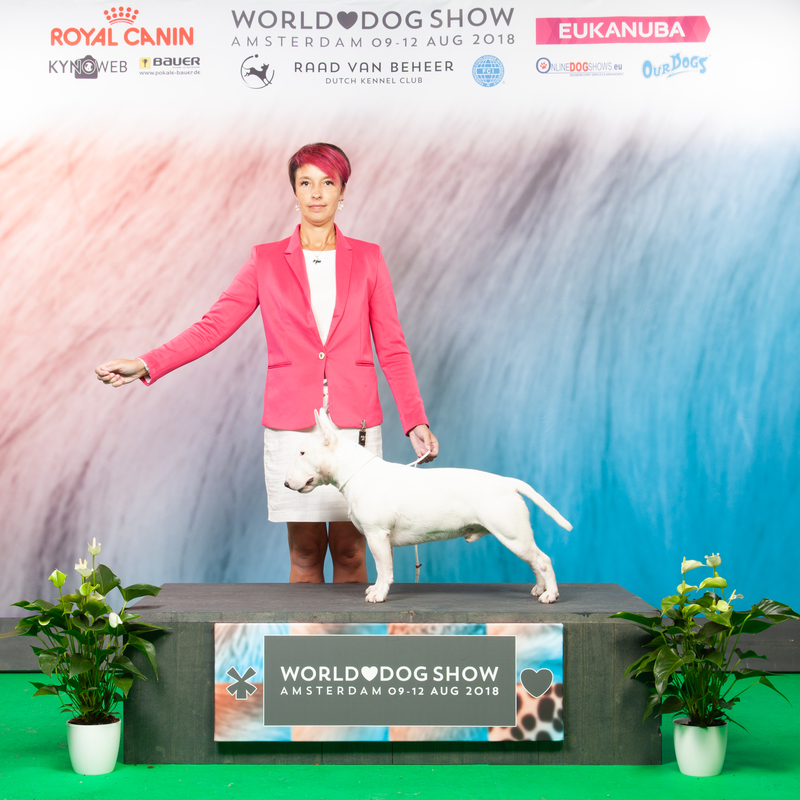 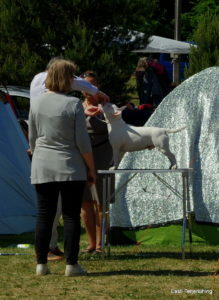 Let`s Go Potsu de Notsu eos Tanagros – CH Ex/1, BM 1, BOS, Balter Winner 2018! 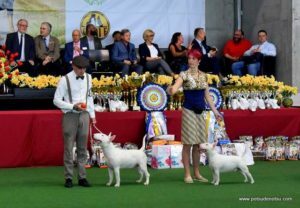 Potsu de Notsu Xpress Yourself – Jun Ex/1, BF 2, J CAC, BOB Jun, Balter Junior Winner 2018! 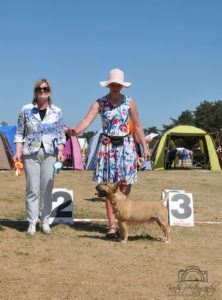 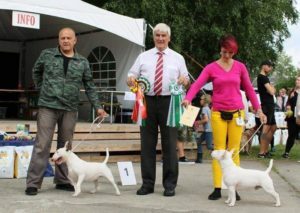 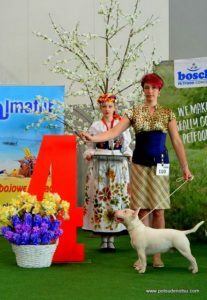 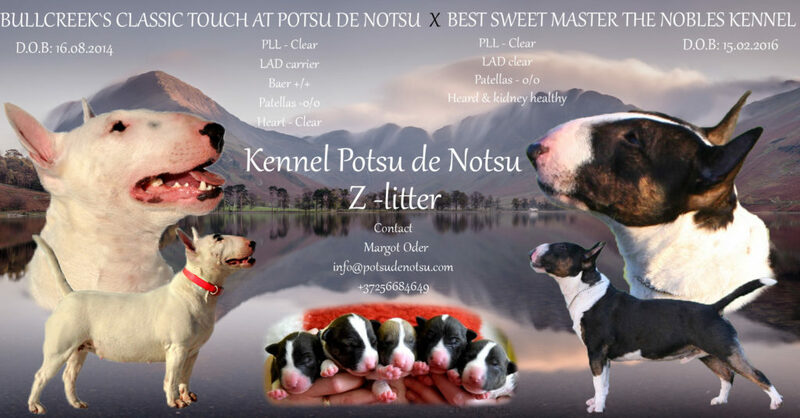 Breeder Class – Potsu de Notsu – Best Breeder and Bent In Show 2 best breeder! 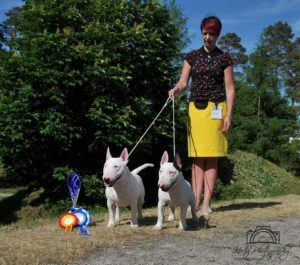 Messis daughter – AxTom Terra Snowdust – CH Ex/1, BF 1, BOB! 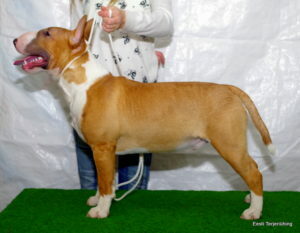 Let`s Go Potsu de Notsu eos Tanagros – CH Ex 1, BM 1, BOB! 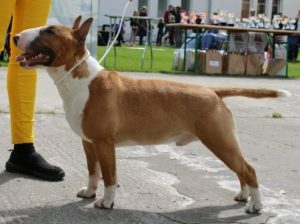 Let`s Go Potsu de Notsu eos Tanagros – CH Ex 1/3, MB 1, CAC, CACIB BOB! 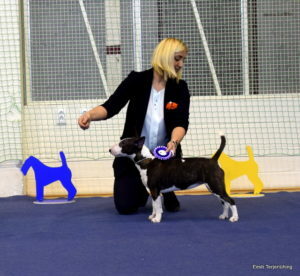 Let`s Go Potsu de Notsu eos Tanagros and Duvessa Athena did very well, but was not placed this time. 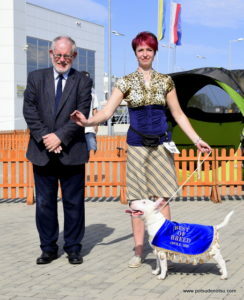 Thank you Dorne and Adrian for trust and so positive emotions for let it happened with Athena! 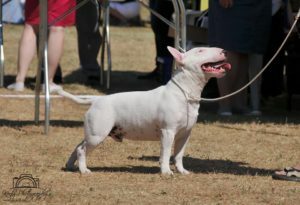 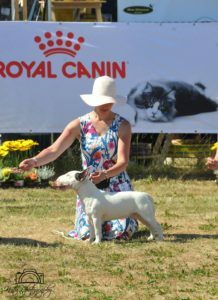 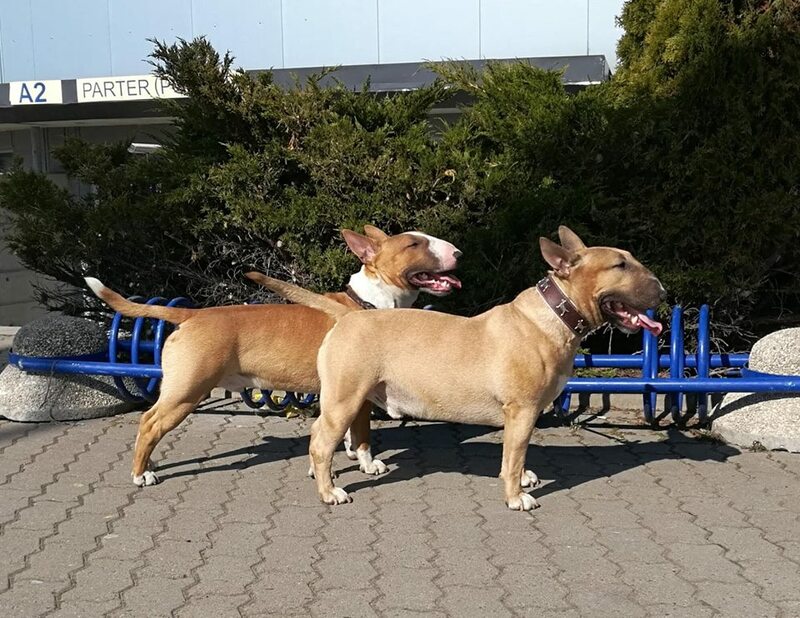 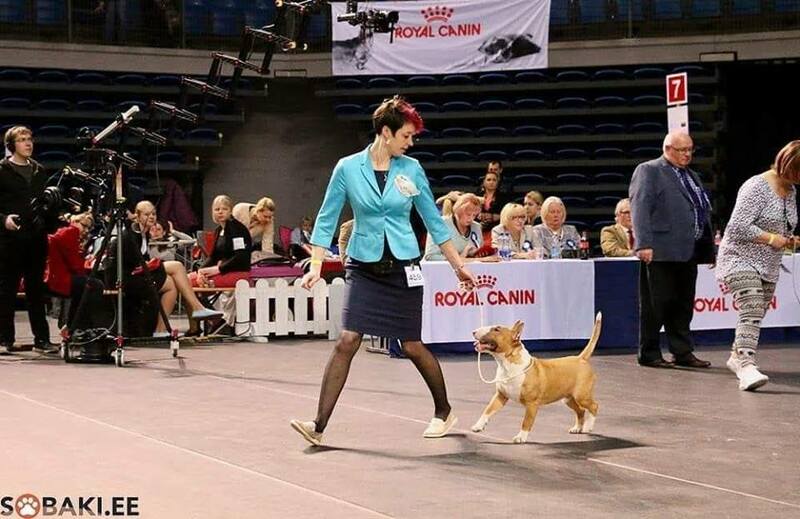 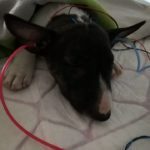 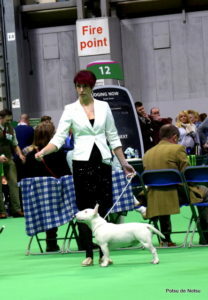 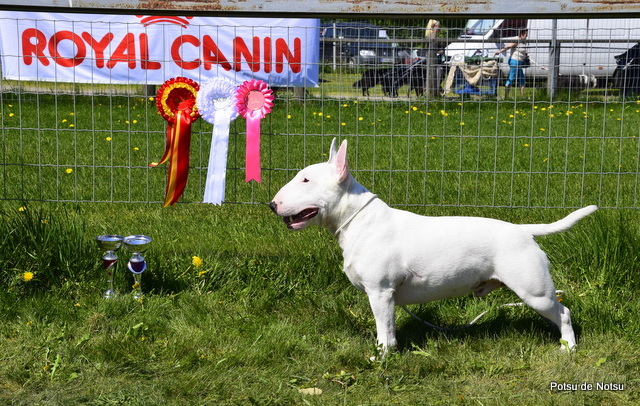 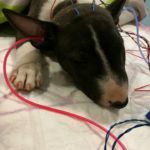 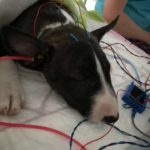 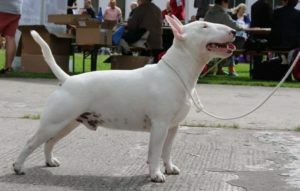 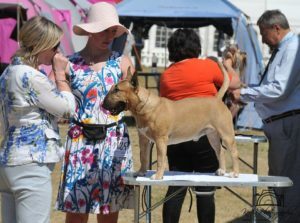 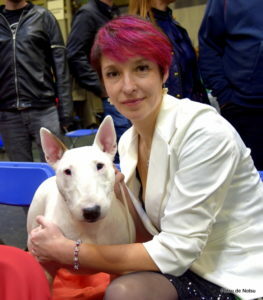 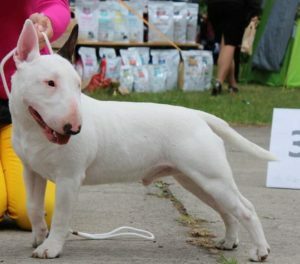 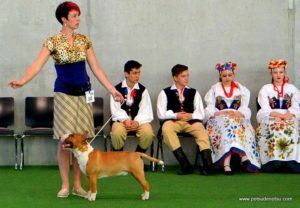 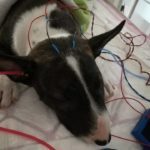 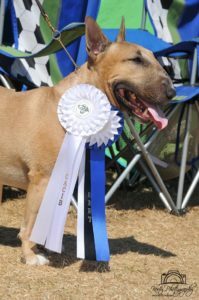 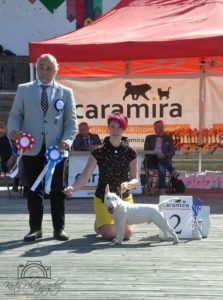 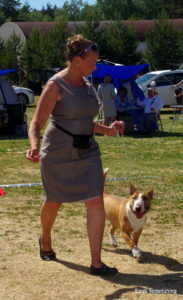 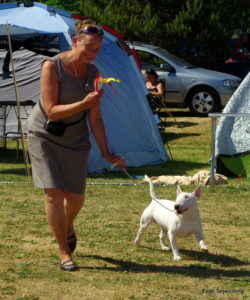 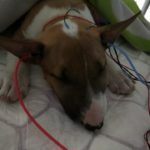 Miniature bullterrier ROLLER GIRL ALMATBULL passed her health test with super results!